Measuring in at just 16cm tall we affectionately refer to ‘A collection of magical formulae with some Christian prayers‘ as our little magical manuscript. 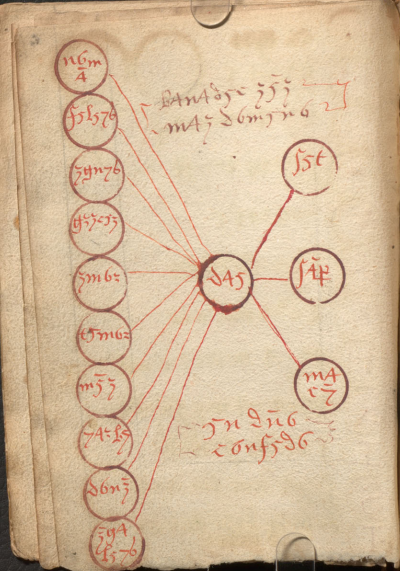 Dating from between 1550 and 1599 this might be one of the oldest manuscripts we’ve digitized. 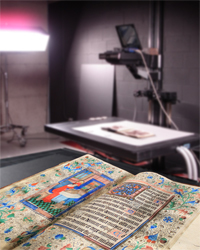 Due to its age and condition this was hand delivered to our lab by the Rare Books and Special Collection team and our digitization administrator Greg Houston did the scanning himself by hand on our V-Scan book cradle scanner. 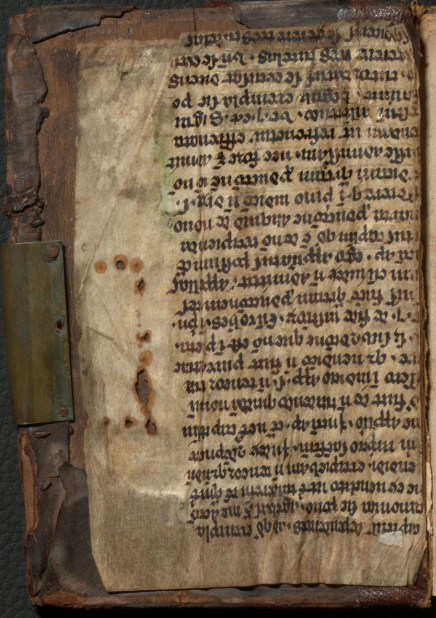 Greg is also happy to report that he remains mishap free after scanning despite some library rumours that who ever handled the manuscript would be cursed. If you’d like to see the original, visit the Rare Books and Special Collections during their opening hours, Monday-Friday 10am-6pm. 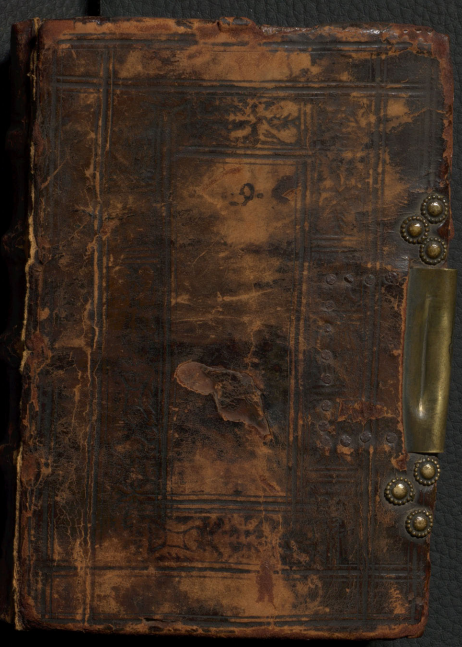 16th century blind-tooled leather binding over wooden boards. Front cover of ‘A collection of magical formulae with some Christian prayers’. 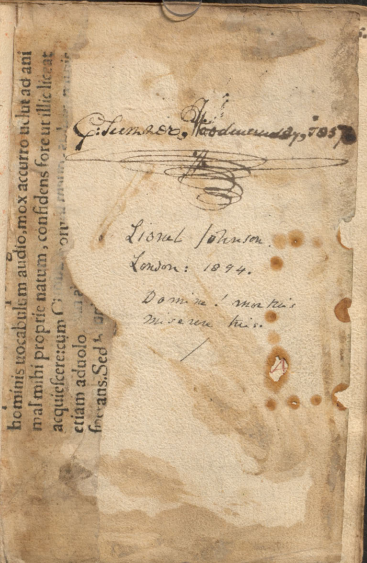 Inside front cover lined with manuscript waste. Signature of the former owner Lionel Johnson, London, 1894 based on cataloguing notes. Page 13 from ‘A collection of magical formulae with some Christian prayers’.